The less said about Gravity Hotel, the better. I say this, not in regards to the incredibly high quality of the work, but of its journey, as it is one that simply must be experienced as opposed to explained. 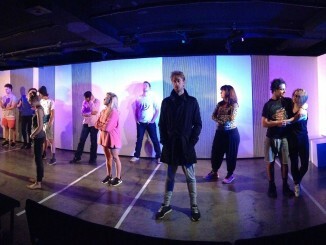 Very rarely does an audience remain seated post show in huddled discussion about the events they’ve just witnessed, but such was the case on the opening night of this unparalleled production. Actress Julia Croft arrives, post trauma, at the titular hotel, manned by the ‘Triplets of Bellevue’ style singing staff, consisting of Renee Lyons, Kate Bartlett, and Lisa Greenfield, as maid, cook, and bellhop respectively. Croft is a remarkably watchable actress, which works in her favour as we experience the oddities of the hotel as she does, with minimal dialogue, but a great amount of internal and external drive to support her. Lyons brings an hilarious vivacity to the show, and shifts between extremities with clear thought processes and strong actions. Bartlett, likewise, brings her stories to life, albeit in a more subdued, yet equally resonant, way. Greenfield, however, seems to have put on her character externally, as opposed to finding her physicality from within. Combined with her showy facials, oddly pitched line delivery, and accent, I would be left at a general loss as to her character if not for the ironic clarity the script retrospectively provides. 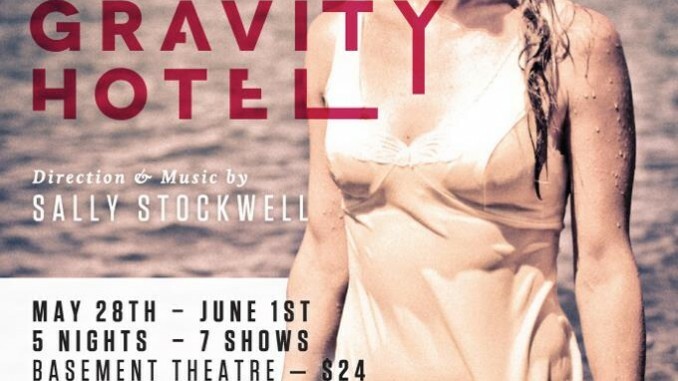 Sally Stockwell, the genius behind the music, maintains an almost intangible onstage presence throughout the show, which constantly hints towards the formidability of her character. Her role as both director and vocalist is integrated with a reserve that selflessly serves the play. The stage design (uncredited) brings the character of the hotel itself to life, utilised through clever choreography that is a delight to relish in both its beauty and chaos. Amber Molloy uses both lighting and darkness to her advantage, and acutely accentuates both the soft and extreme moments of the play. Add to this Sam Mence’s sound design, and the show’s spectacle elements generate a horror equal to Stephen Mallatratt’s ‘The Woman In Black’. Pianist Robin Kelly and double bassist Jonathan Burgess, while completely visible, are surprisingly discreet, a testimony to the cohesive nature of the show’s presentation, and the levels between both the instrumentalists and vocalists that were achieved, much like the coalescence of the songs and story, was perfect. 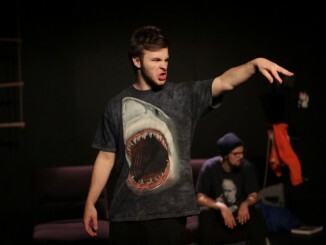 There’s a natural want to decipher the words and events one sees on stage, a desire to comprehend, and Stockwell’s script artfully drip-feeds us bits and pieces of information through innovative imagery, marvellous music, and singular scenes, keeping the audience in constant wonderment, even once we’ve figured it out. 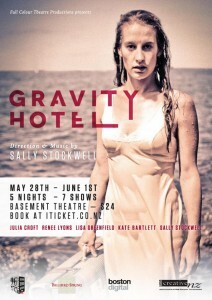 Gravity Hotel is the kind of show you could easily see twice, if only for the chance to catch the entire visual feast. No show can be compared with another and in that respect every show is different, but Gravity Hotel is truly unique. 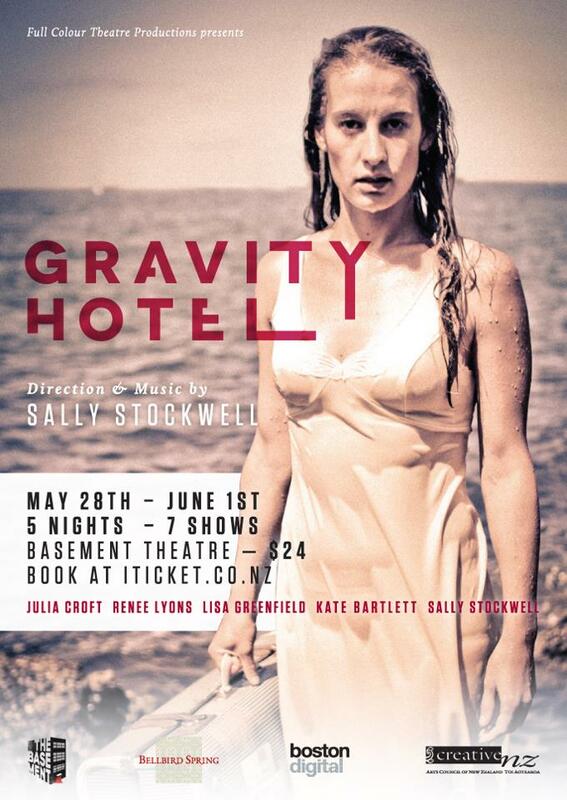 Gravity Hotel is presented by Full Colour Theatre Productions and plays at The Basement Theatre until 1st June. Details see The Basement.